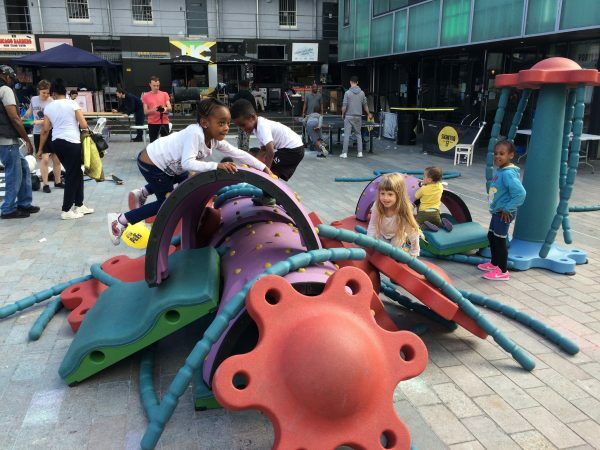 Come play in Gillett Square! 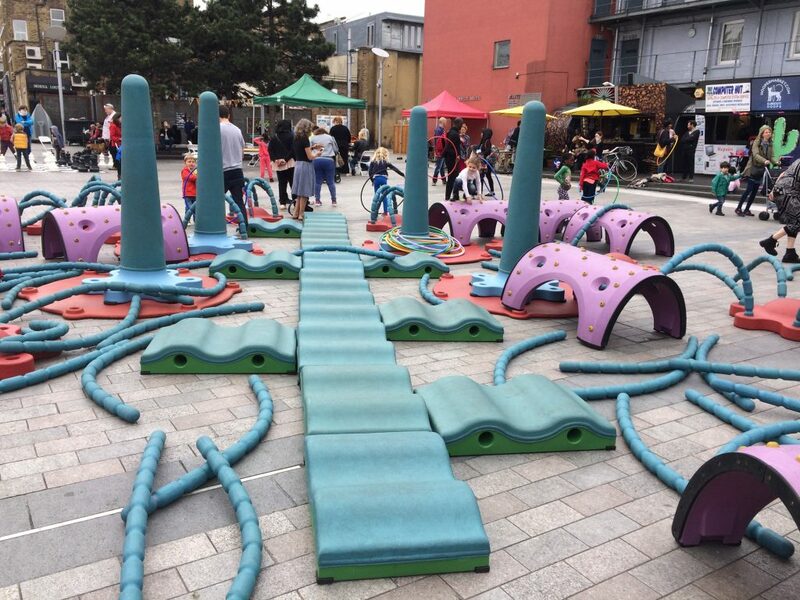 Gillett Square will transform into a playground for children and families to enjoy thanks to our unique play equipment SNUG. Durable and intriguingly shaped equipment transforms the square into an adventure wonderland for children to discover, create and enjoy. The nature of the equipment encourages children of all ages to get involved and be creative together; from building a rocket ship to a giant tent, the possibilities are endless! We also have table tennis, table football and opportunities to have a go at skipping, frisbee and other activities.